The Paperlane and Witch Wool? 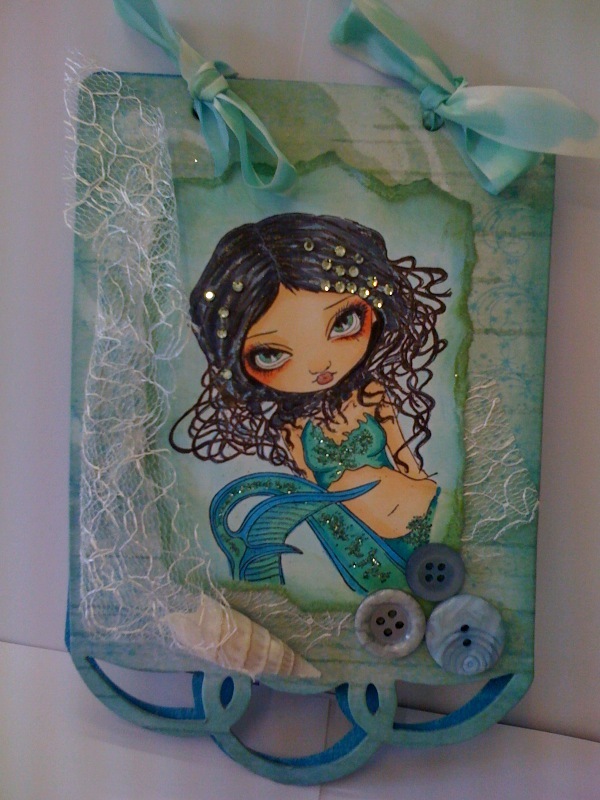 : Sweet Pea Stamps Mermaid. I love this stamp, and i'm into making books at the moment too. I hope you like my mermaid with sparkle, bling and attitude!! The ribbon is vintage ribbon, coloured with Copics and few buttons added, just cos I could!!! Ooo I love this Caz.I love the sparkle and colours used. These books you are making are fab.